This book discusses important issues related to managing supply chain disruption risks from various perspectives. It explores the essence and principles relating to managing these risks and provides the framework and multi-goal model groups for managing such risks. 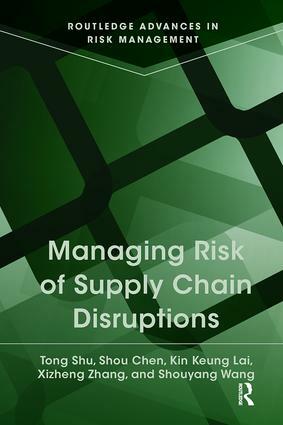 The book also discusses research development of managing supply chain disruptive risks, supply chain risk conduction and loss assessment methods of supply chain disruptive events. It also includes the consideration of supply chain coordinating models in the cases of demand and supply disruption risks. It also deals on the subject of managing models of supply chain disruption risks by looking at manufacturers and responding decision methods oriented towards demand in disruption and coordination. It also summarizes the relevant findings and provides future research questions and orientations. The book will contributes significantly to the growing body of knowledge concerning the theory of managing supply chains.